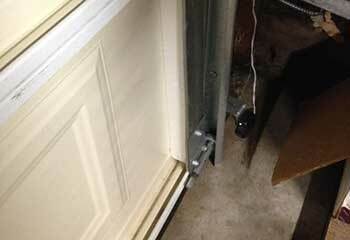 It can be very difficult, not to mention dangerous, to deal with broken garage door springs or opener related problems. Good thing our experts are here to take care of these sorts of problems for you. Take a look at the projects below to learn how we helped other homeowners with similar issues. 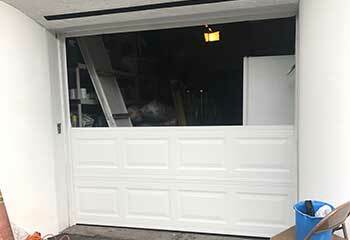 Customer Issue: The O’Tarre’s moved into a new house, and wanted an automatic overhead door installed for its garage. Our Solution: A Raynor Aspen AP200 steel plated and internally insulated garage door with matching track and spring systems, a Genie 4064 screwdrive opener with a model G3T-BX remote and a GBWCSL2-BX wall console, and a pair of Safe-T-Beam photo eyes from the same company made the perfect combination. Customer Issue: The door would reverse every time he tried to close it. Our Solution: The problem occurred because the opener's photo eye sensors were somehow knocked out of their proper alignment. We returned them to their correct position and then checked their lenses to make sure those hadn't been damaged in the process. When we finished, the door could once again close all the way with no issues. Customer Issue: Opener would not start. Our Solution: After checking the main power cord and the remote and wall switch, we opened the main casing of the opener and began checking its internal components. 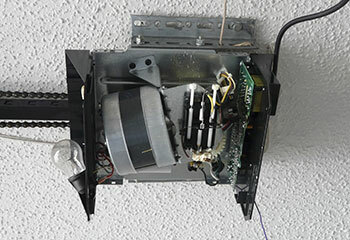 It quickly turned out that the circuit board had to be replaced for the unit to be able to work again. After installing the new board, and making sure the problem had been solved, we reprogrammed the remote control to allow the customer to continue using it. Customer Issue: The door's main spring had broken. 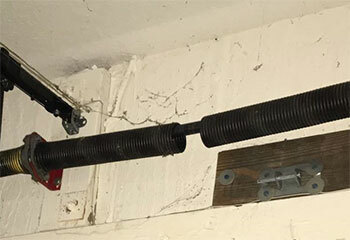 Our Solution: Not only were the spring's coils in bad shape, it was also speckled with rust, so it was no wonder its structural integrity finally failed. We removed the remains of the old unit and installed a new spring across the shaft. We then wound it with tension and made sure the lift cables hadn't sustained any damage and were completely functional.